Each summer, our church hosts a large, well-established Vacation Bible School (VBS). The VBS leaders began to notice, however, that participation by fourth- and fifth-graders was decreasing. These children said they felt that they had outgrown VBS. So, five years ago, we experimented with altering the VBS schedule for these older children and offering a longer period of time each day for children to participate in some type of service project. This change was so well received that the next year we decided to offer Mission Camp @ VBS, a completely separate ministry for fourth- and fifth-graders, but held at the same time as VBS so children of all ages could participate in programming during the same week. When groups return from their work site each day, they have snack time and an opportunity to debrief individually in their journals and then with the larger group. Children can write or draw pictures in their journal to remind themselves of their experience that day. Then, each group has an opportunity to share where they went, what they did, and how God was involved in the agency or project in which they participated. If groups arrive back at the church early, there are always ongoing projects available for them to do. 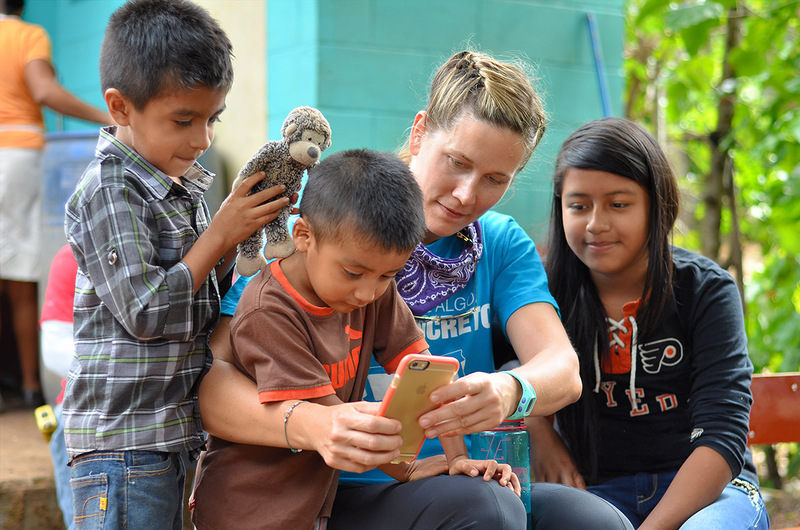 We have made friendship bracelets for a boy’s home in Honduras that participants on our adult mission trip visit each summer, made coloring books for the children’s hospital or police and fire departments, and assemble hygiene kits for Presbyterian Disaster Assistance, just to name a few. Adult volunteers are recruited from the entire congregation for Mission Camp, but we particularly seek out active, older members of our congregation with whom our children can build special relationships during Mission Camp. These adults look forward to seeing the children in the narthex or at congregational events long after Mission Camp, continuing the relationship they began, or, years later, becoming a Confirmation Partner for a child they met and served with during Mission Camp. Building these authentic intergenerational relationships is an intentional goal of this ministry. 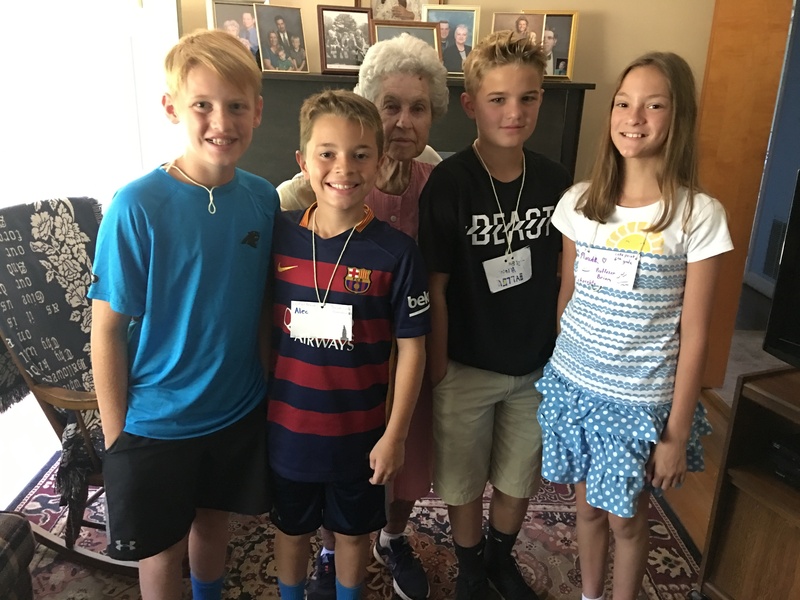 Another goal of Mission Camp is to introduce older children to a variety of ways to serve others in the community that they and their families can continue after Mission Camp is over. One girl, who sorted cans at a local food pantry during Mission Camp last year, heard the director tell them in her presentation that they always needed baby formula. The child went home that day and asked her mom if they could go buy some infant formula to take to the food pantry. Another child and her family continued to visit the Senior Center to play Bingo with the clients during the summer after Mission Camp was over. Children are often eager to serve and want authentic ways to live out their faith. 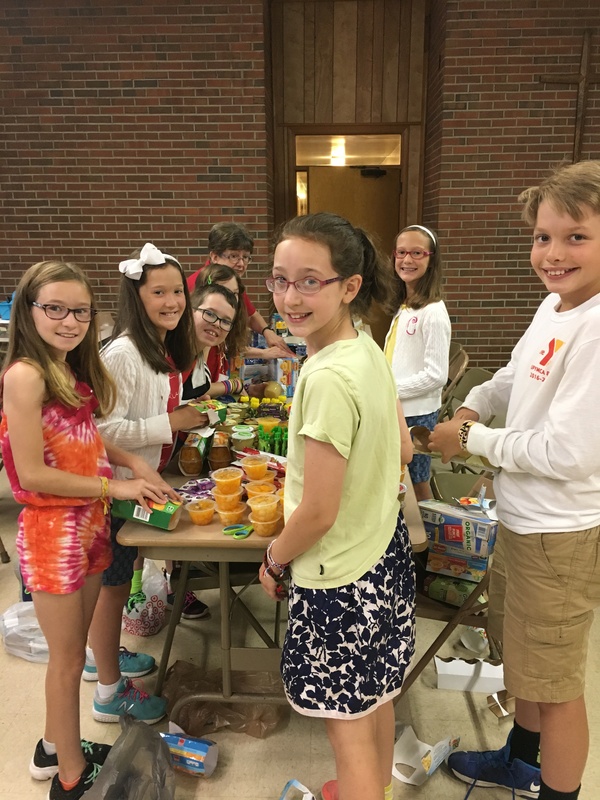 Mission Camp has offered our children opportunities to enact the call in Matthew 25 to feed the hungry and visit the sick in ways that are age appropriate yet meaningful to all involved. Kathryn McGregor is a Certified Christian Educator, serving as director of Christian education at Unity Presbyterian Church in Fort Mill, SC. She is a member of APCE’s Communications and Resourcing Ministry Team. Kathryn and her husband, the Rev. Dr. Sam McGregor Jr., have three teenage and young adult children who, when younger, taught them about children’s ability and eagerness to serve others. You can contact her at [email protected].